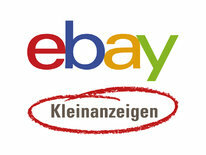 With over 53 million visits each month in the own Real Estate category, eBay Kleinanzeigen is THE alternative for real estate professionals (AGOF digital daily facts 2018-5). There are already 5,500 real estate professionals successfully using Germany's largest classified website as an additional sales channel, where they profit from the greatest possible flexibility through monthly contracts and transparent packages from XS to XL. Even more effective are our PRO Real Estate packages. These can be added to existing packages and offer features that will further boost your presence as a real estate professional. You'll get your own company page with prominent branding and your own logo.